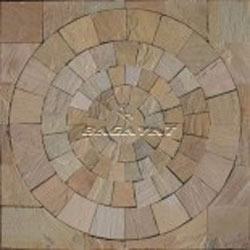 Providing you the best range of mint sandstone circle stone, kandla grey circle stone, raj green circle stone, lime black circle stone and autumn brown circle stone with effective & timely delivery. 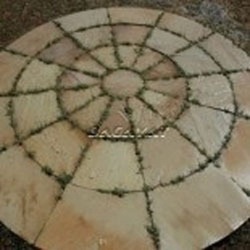 In order to cater the diverse requirements of our clients, we are engaged in offering a quality range of Mint Sandstone Circle Stone. These products are well designed and are highly appraised by our customers all over the national as well as international market due to their flawless finishing. These products are round in shape and are available in different sizes and dimensions. 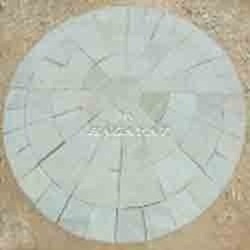 With the team of efficient industrial workforce, we are engaged in offering an extensive range of Kandla Grey Circle Stone. These products are beautifully designed by the experts and are highly demanded by our esteemed customers. Our products are scratch-free and are resistant to corrosion as well. We are offering these products at industry leading rates. Our company is one of the most trusted companies that offer a wide range of Raj Green Circle Stone to meet the demands of our clients. These stones are well designed by the team of skilled and experienced workers of the team that works with complete dedication and devotion to accomplish their targeted goal and attain maximum satisfaction of the clients. Backed by the years of experience and expertise, we are engaged in offering a wide range of Lime Black Circle Stone to meet the needs of our clients. These products are rigorously tested on various parameters by the quality detectors and are authenticated as per the international standards. 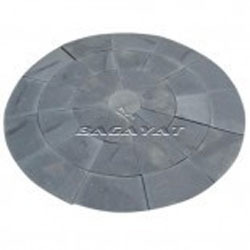 These products are well known for their attributes such as excellent finishing and durability. 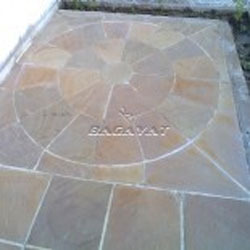 To meet the needs and demands of our clients, we are engaged in offering an extensive range of Autumn Brown Circle Stone. The complete range of our products is made up of high quality base material sourced from reliable and trustable dealers of the industry. The looks of these stones are classy and antique that makes the highly popular and widely demanded all across the countries.